Beginning aboard the U.S.S. 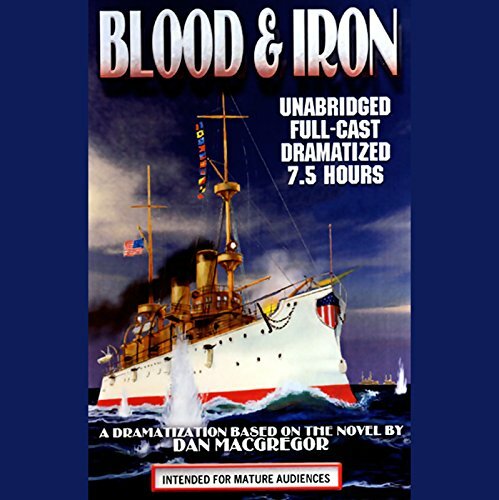 Olympia, Blood and Iron is the first in a planned series of six books chronicling the adventures of Levi Rankin. Fresh from the wilds of Wyoming, young Marine Corporal Rankin is savagely tested in the Spanish American War (Battle of Manila Bay) while serving under Commodore Dewey. Rankin's courage is rewarded with a promotion, and he comes of age and learns the lessons of leadership and betrayal in the heat of the Philippine jungles, gunboat duty on the Yellow River, and finally during the brutal Siege of Peking during the Boxer Rebellion. For Mature Audiences Only: Explicit language and situational violence. Must be 18 years of age to purchase.